Richbrook has launched a low profile, high quality roof aerial for Fords and Vauxhalls that helps avoid the problem of contact with up and over garage doors. 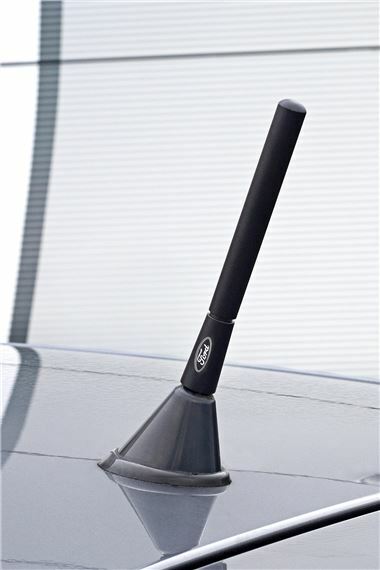 The new part comes branded with the appropriate logo for each marque and offers a unique set of features that allow fitting to almost every model in each manufacturer's range that came with a roof mount as standard. Despite its diminutive size, the Richbrook aerial offers crystal clear FM reception, and thanks to a range of different sized thread attachments that come with it, will fit almost every factory base mount, irrespective of model or year. At just £14.95, it's form and function in one perfectly styled package.